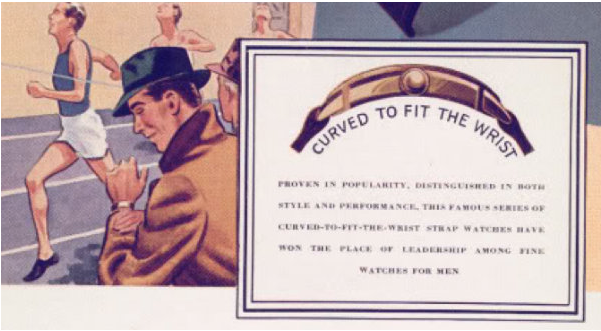 Part of the "Curved to fit the wrist" line, the Dickens was introduced in 1938 and produced for two years. The Dickens is a long watch and identifiable by the notches is in the sides of the watch at the corners of the crystal but you can also spot it using the gold dot that takes the place of the 6 on the dial. It almost gives the impression that the lugs could be flexible but they are not. Powered by the 14/0 sized, 17 jewel 980 movement, the Dickens only came with one dial option, the AGN dial shown. It's very similar to the other curved to fit the wrist models like the Clark and Carlisle and perhaps most similar to the solid gold Gilman - but the Dickens is a fine watch in it's own right. I have a Dickens that claims it came from 1937. 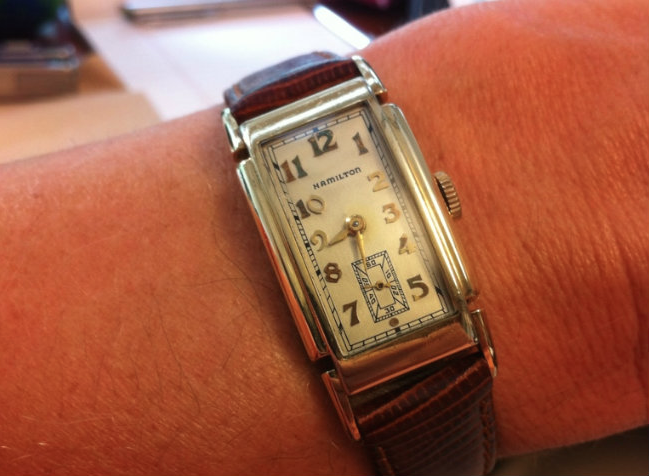 Is that possible or, is it actually a 1938 watch? Well, if it's inscribed something like Christmas 1937 then I'd say it's possible. I think, like cars, the next year's models were introduced toward the end of the year. You could also date the movement serial number and see if that tracks with 1937. It says Case #1139647 Movement # G220785 and it is a 980 movement and is in absolutely mint condition and looks like it sat in a drawer for the entire life of the watch. I don't know if that will tell you anything or not. 980 serial numbers begin with G so it's probably G213257 - which dates to 1938. I opened the case and it is totally different numbers than I posted earlier and I put the corrected ones that are now listed above. The case serial number doesn't really matter, it's the movement that counts. The movement number is even higher than before and still dates to 1938 (which is fine, by the way). Thank you very much for letting me know the true year of the watch that I have. 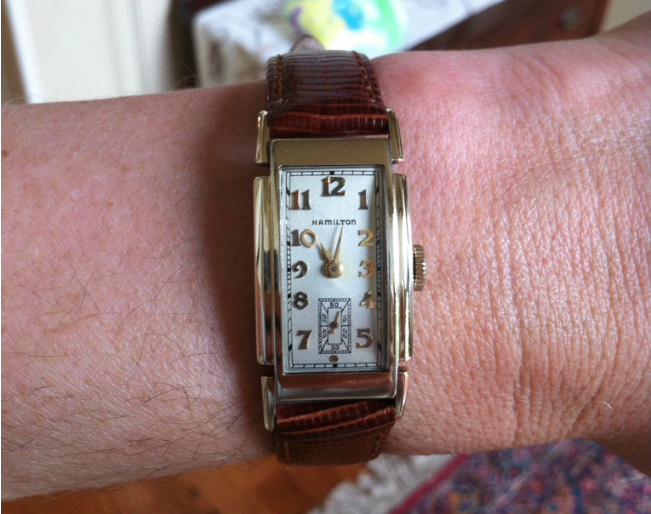 It's still a 76 year old watch that looks like new and I will enjoy wearing it. I have a Halmiton from 1938 to restore. You can send me an email through my Etsy shop or by clicking the "clicking here" link abbey my photo in the upper right.